Everything but the kitchen sink... Offering modern DJs a complete all-in-one solution, the CDMP-7000 packs professional features and outstanding playback versatility into one powerful, portable workstation. With two feature-rich decks and a comprehensive central mixer section, this inclusive unit provides everything you need to electrify a crowd in any venue. Touching is believing. When it comes to control, the CDMP-7000 provides a superior dimension of tactile command by incorporating two touch-sensitive display screens. Now you can navigate between folders and tracks, adjust tempo and even set effect values using the same intuitive controls found on the world’s most popular smart phones and tablets. True media versatility. For total playback convenience, the CDMP-7000 accommodates all types of DJs and contemporary media. Two slot-in CD drives provide compatibility with Audio CDs, CD-Rs and MP3 CDs, while one-per-side USB inputs and SD card slots allow you to play tracks directly from USB storage devices and SD cards. And with MIDI capabilities, the CDMP-7000 can even act as a software controller for music stored on your computer. Operate the parameters of your favorite DJ software right from the unit and route your audio through its 24-bit/192kHz soundcard. Reinventing the wheel. With two 5-inch high-resolution jog wheels, this professional DJ workstation gives you exceptional command over your tracks. Three selectable jog modes allow you to Search, Pitch Bend and operate Scratch Effects with Slip Mode and Reverse. The wheels also employ a VFD display that indicates your mode, track position and slip position, while painstaking design ensures super-accurate control with a completely natural feel. In fact, a Rotary Adjust feature lets you customize the wheels’ resistance, whether you’re partial to stiff and heavy, light and loose or anything in between. Get creative. For beat matching, the CDMP-7000 boasts ultra-precise Variable Pitch Control sliders with six settings. Plus, Master Tempo mode allows you to adjust a track's tempo without changing its original pitch. And since creativity is so important when crafting your own original sound, the CDMP-7000 provides six DSP-powered effects with Dry/Wet level control. Additional functions like Pitch Bend, Hot Cues, Reverse and Loop Sections, along with versatile BPM options, round out the collection of professional features that fully complement the CDMP-7000’s user-friendly design. Master of the mix. Of course, no DJ workstation is complete without a central mixer section. That’s why the CDMP-7000 includes a 3-channel mixer with 3-band EQ and Gain Control on each channel. For connecting convenience, the unit features two switchable line/phono stereo RCA inputs and one Aux RCA input; one front panel ¼-inch mic input and rear XLR-¼-inch combo mic input; dedicated Master, Booth and Record RCA outputs; CD1 and CD2 stereo RCA outputs and two S/PDIF digital audio outputs for use as Slave decks; and a ¼-inch headphone output. The mixer even features dedicated level control and 2-band EQ for the mic section. A workstation built for play. No other professional media player packs so much innovation into a durable, dependable, portable tabletop workstation. Built to withstand the rigors of heavy gigging, the CDMP-7000 combines intuitive functionality with eye-catching design to create one of the most versatile and comprehensive DJ solutions on the market. Considering purchasing the Gemini CDMP 7000? Have questions? Ask people who've recently bought one. Do you own the Gemini CDMP 7000? Why not write a review based on your experience with it. 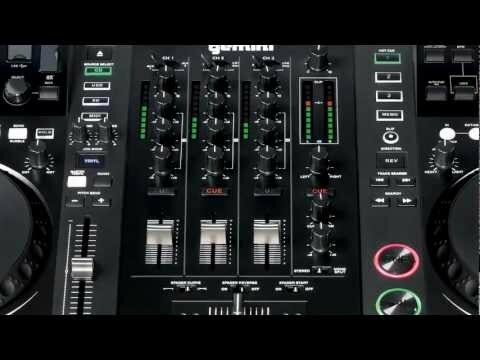 these decks are amazing they can do everything they have so many inputs and output for different thing they work well and smooth. Don't waste any money on this product. It has poor volume (the master needs to be on full and the gains up high) and none of the function or sound precision you expect from modern equipment. Spend that little bit extra and stick with pioneer. Complete waste of money. Seen a video for Gemini CDMP 7000 online or have you own video? 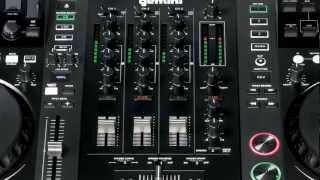 Check out Gemini CDMP 7000 on DJkit.com!